Some places need a little more attention. Sometimes just one picture says it all, and at times an album is not enough. 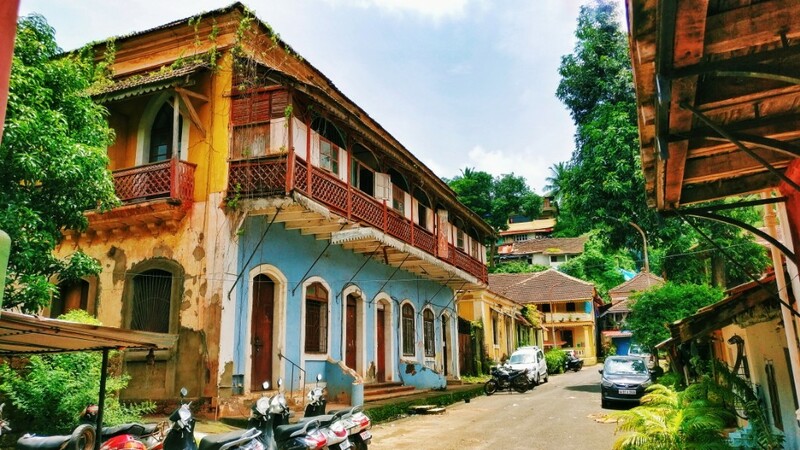 I visited Goa, a few months ago, I mentioned Fontainhas on the list of Places to see in Goa during Monsoon. 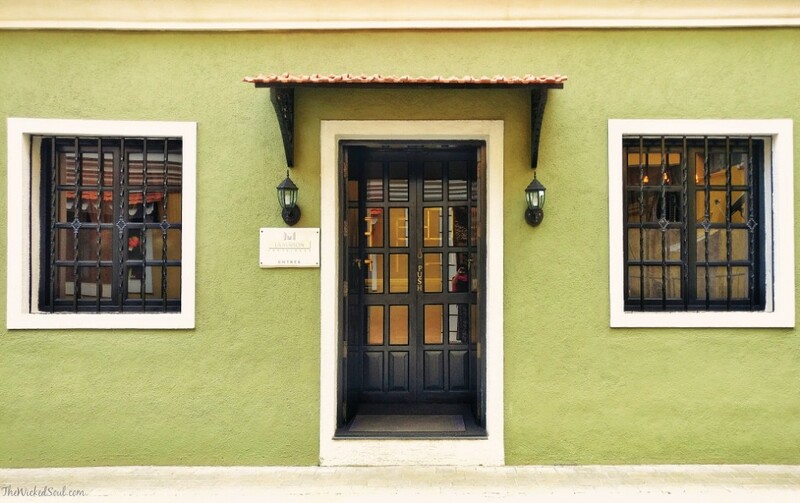 I wanted to share more pictures showcasing the beauty and colors of Fontainhas. 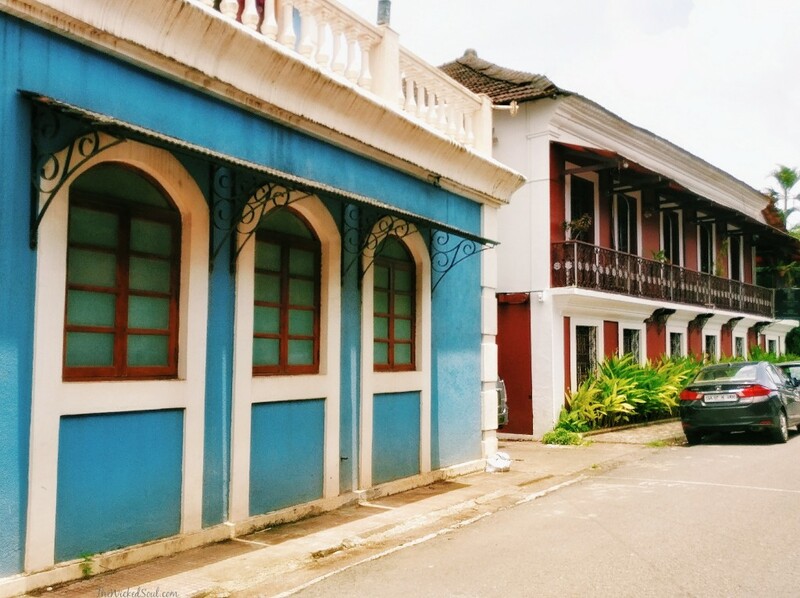 Fontainhas: An old Latin quarter in Panjim,Goa which mirrors the Portuguese influence through its architecture, narrow winding streets & picturesque buildings. 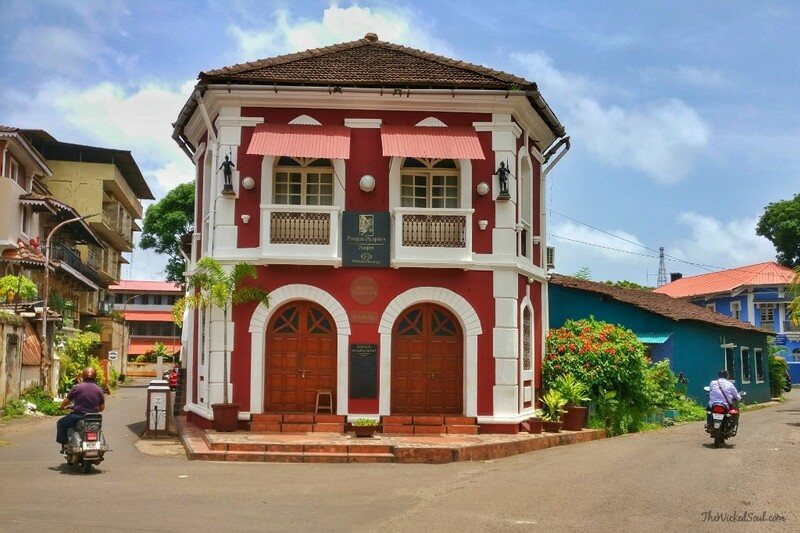 The pale-colored buildings and red-tiled roofs on the early century buildings are still maintained beautifully. The streets and the entire quarter is kept clean. 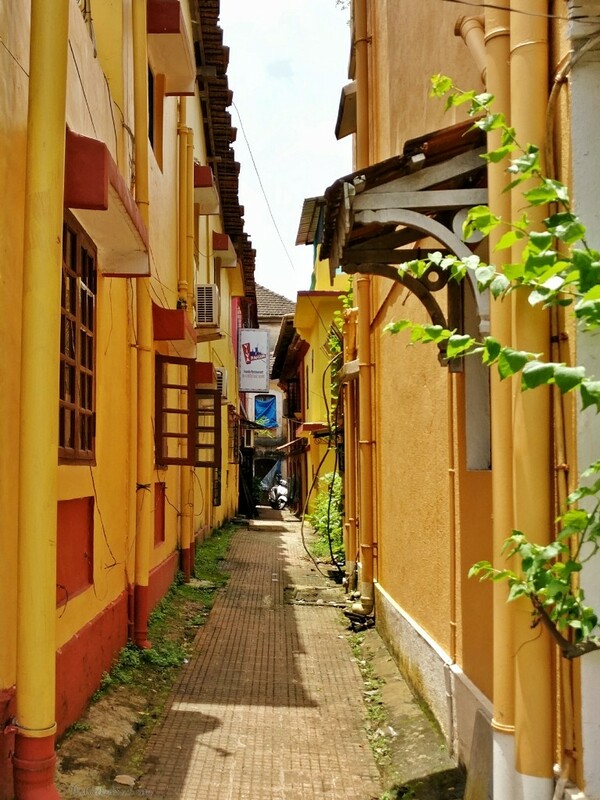 The streets reminded me of the French Colony in Pondicherry. 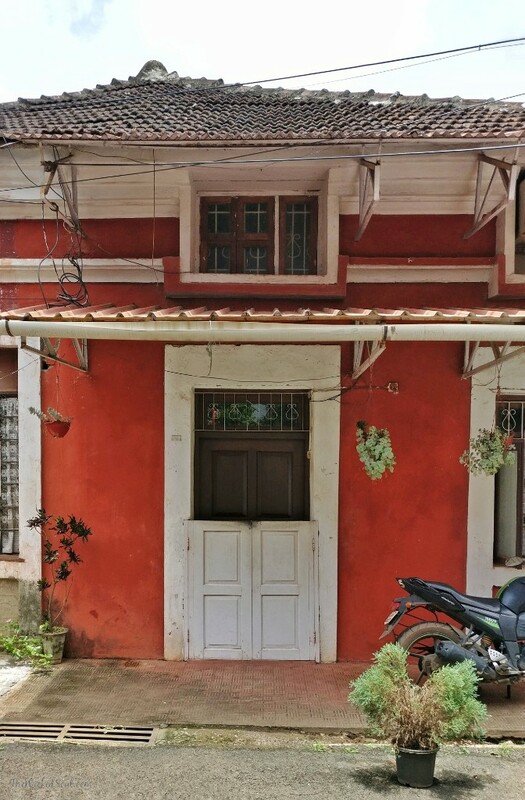 Situated in the heart of Panjim, Fontainhas seems like a place out of time. 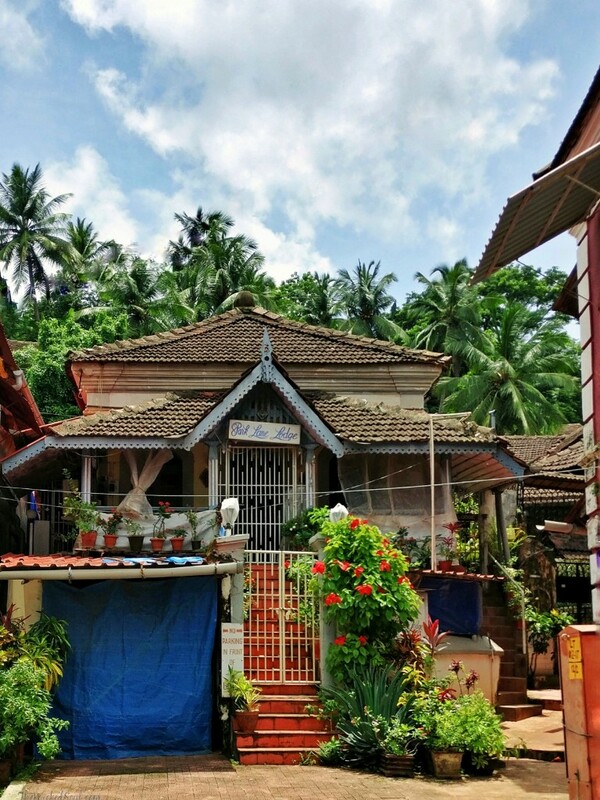 People sitting in their verandahs reading the newspaper, practicing the violin or simply chatting up with neighbors. 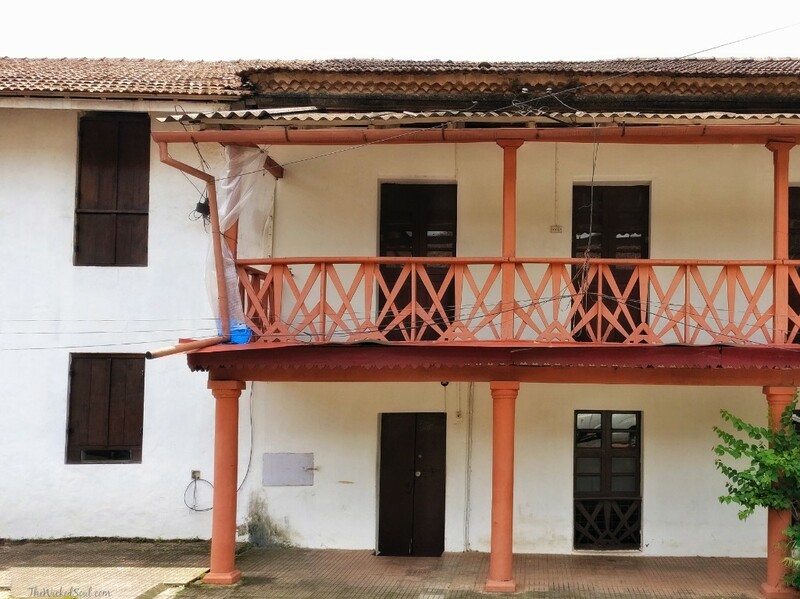 Though most of the buildings here are replaced by modern architecture, some of the Indo-Portuguese have managed to restore their houses as they were built. 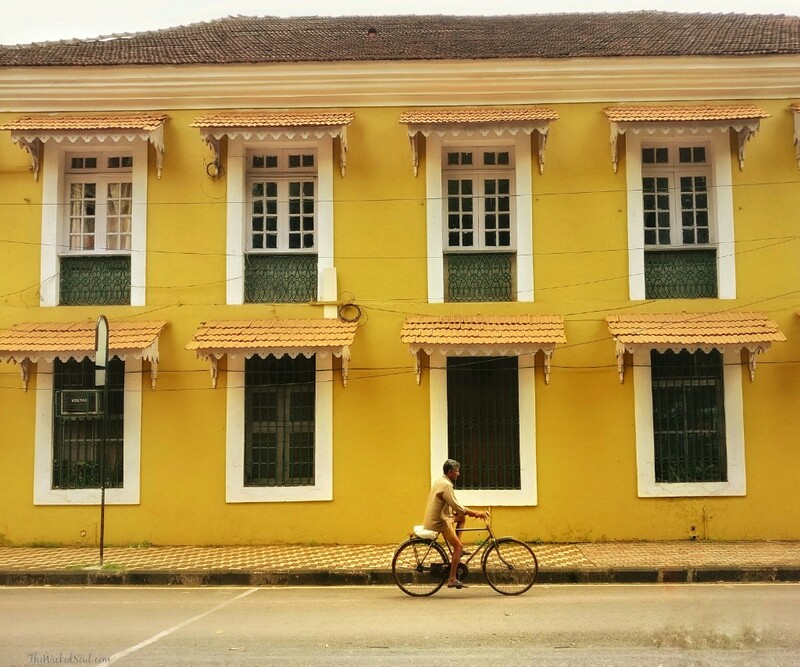 One can experience the vibes of this atmospheric heritage via heritage walk organized by GTDC. I decided to wander around by myself getting lost in this artistic maze. 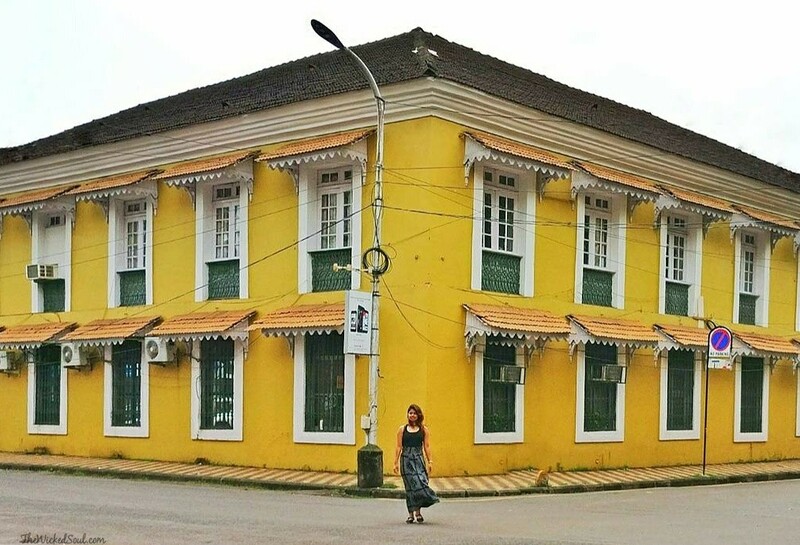 The projecting balconies, the uneven structure of the houses and the varying colors give each building its own distinct identity. You need to be aware of stray dogs while in Fontainhas. There will be a few around every corner. The best time to get beautiful pictures would be early morning to take advantage of the soft light or in the afternoon when the entire quarter is enjoying a siesta. Hope you liked this series. 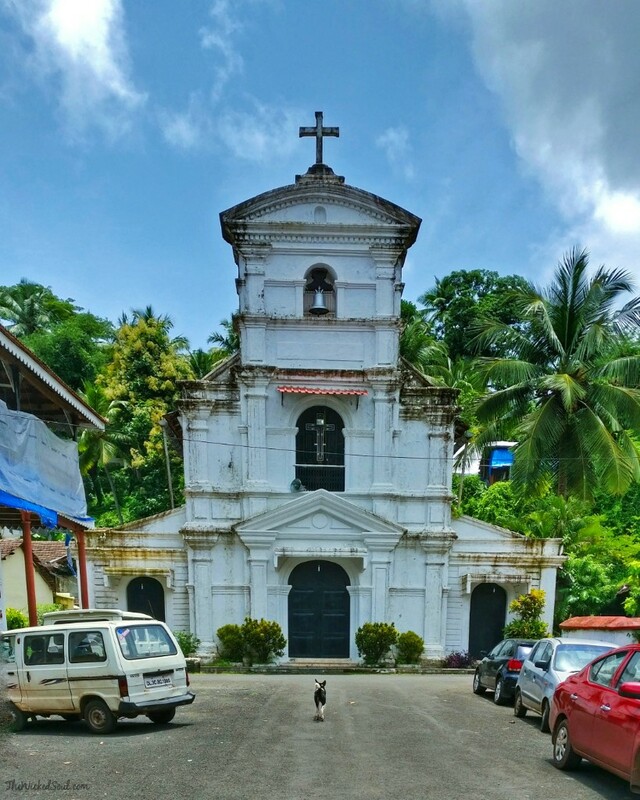 Have you visited this part of Goa before? Do let me know in comments below about your experience. Gorgeous photos! I’ve always wanted to visit India – been trying to nag some friends to go with me! Thanks for sharing.